There are some landscaping and garden trends that never go out of style, like the timeless look of paving stone patios or the use of drought-tolerant plants in Southern California gardens. Then, there are others that come and go, such as impeccably groomed hedges or ice plant. There is certainly no reason to redesign your landscaping every few years to keep up with current trends. This is particularly true when you can keep your garden looking fresh and up to date by simply switching out a few plants, recovering your patio cushions or cleaning up what you already have. Of course, there are times when a bit more is needed to increase your home’s curb appeal or give your outdoor living areas a facelift, but on a year-to-year basis, your focus should be continuing to improve your yard to make it better fit your lifestyle and function better for you and your family. To give you a little inspiration while determining your backyard improvement projects for this year, we have put together five of the landscaping and garden trends we expect to see grow in 2018. 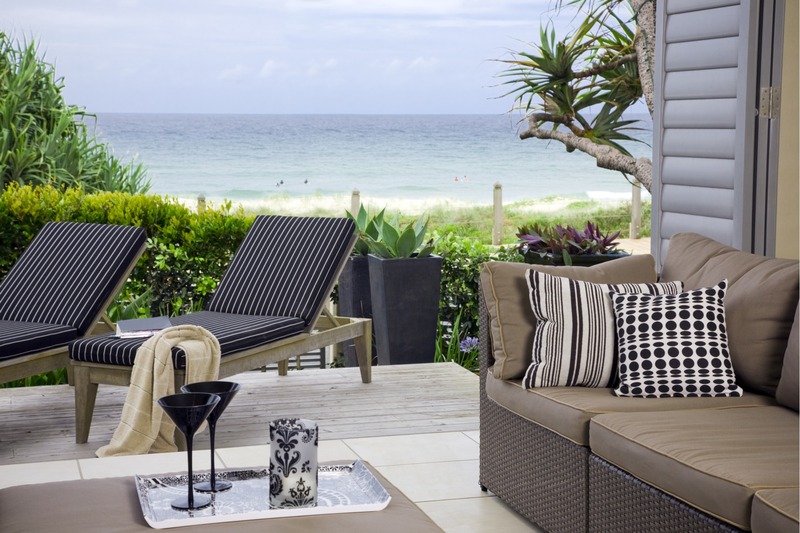 You just might find that your yard is already on trend or that with a few tweaks, you can make your yard more functional and up to date. 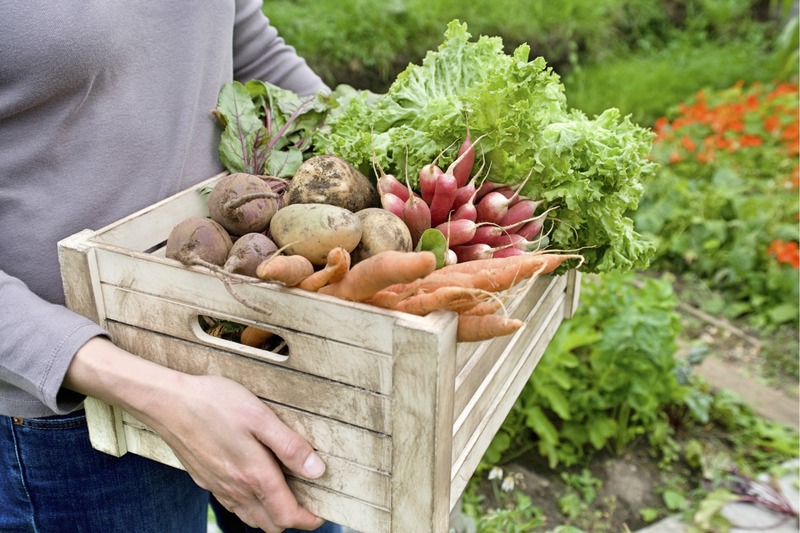 Backyard vegetable gardens have been a trend for as long as people have had backyards. Growing your own food is certainly nothing new and urban farming has been a thing for several years now. The difference we are seeing in the last couple of years is that millennials are impacting this trend with their distinct interest in sustainability, eating local, growing and making the things they need, and appreciating activities that they consider old-fashioned. More millennials are becoming homeowners, which means they are affecting both home buying and landscaping trends. With this, we are seeing a growth in the re-dedication to growing more than just a couple of tomato plants and a desire to grow enough produce to provide ingredients for regular meal planning. We have also seen enormous growth in the vegan population over the last two years, which means a lot more people are committing to a plant-based diet. As these newly minted vegans become more aware of pesticide use and land-use issues, many are choosing to grow some of their own food. However, at the same time, there is a growing movement towards downsizing, which is largely being driven by retirees and millennials. With more people choosing to live in multi-family buildings, tiny houses and just smaller properties, many of these folks have less room for gardens. This is why we are seeing more container gardens popping up and why we expect to see even more in 2018. This trend actually began a few years ago when, as a whole, the population became more aware of the significant decline in some species of bees and butterflies. After years of drought in Southern California, many homeowners here saw an even greater decline and recognized the need to help these struggling pollinators. 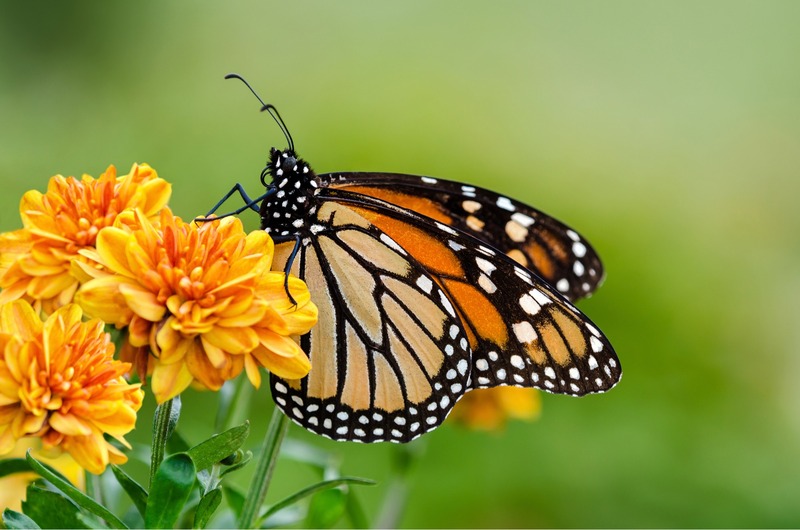 Therefore, some folks have been planting gardens that attract and provide habitat for butterflies, bees and hummingbirds for years. The reason we expect to see this garden trend grow in 2018 is that an increasing number of people are acquiring a better understanding of how our interactions with the environment affect wildlife, how we rely on that wildlife to pollinate the plants we eat, and just how important pollinators are for those backyard gardens we are all wanting. Creating habitat for pollinators helps local bee, butterfly, moth, bat and bird communities, while also helping your garden – whether it is filled with flowers or food plants. Therefore, even if you are not planning on getting in on all of the 2018 landscaping and garden trends, this is one that you should at least consider, since it is good for local wildlife and for your garden. Over the last decade, there has been a significant increase in Southern California homeowners interested in replacing their water-loving lawns with drought-tolerant plants, artificial grass or low-water groundcovers. As the state struggled through years of drought and water-use restrictions became a necessity, it was not surprising that so many folks looked for low-water alternatives to natural grass lawns. However, there were still plenty of folks who held on to the conventional lawns most of us grew up with and that continue to be a bit of status symbol. And, now that most experts are saying the most recent drought is over, these folks are breathing a sigh of relief and thinking maybe it is okay to hang on to their lawns for a few more years. Of course, anyone who lives in Southern California knows that the next drought is always right around the corner. Plus, a growing number of homeowners are retirees or millennials starting families who want to spend less time taking care of their homes and yards and more time enjoying their friends, families and activities. At the same time, a lot of these people do want a stretch of grass where their children, grandchildren or pets can play. This is where the trend towards smaller, lower-maintenance lawns comes into play. Opting for a smaller, natural grass lawn or for an artificial lawn allows you to have the lawn you love without wasting the time and water required to keep a larger, natural grass lawn looking green and lush. Every year, the Pantone Color Institute names a color of the year that fits with their predictions and market research for how hues will be used in almost every industry in the year ahead. The Pantone 2018 Color of the Year is Ultra-Violet, which means we can expect to see shades of violet and purple in fashion, interior design, gardens, jewelry design and more. This will surely affect 2018 landscaping and garden trends with the demand for purple herbs, fruits, vegetables and flowers that allow folks to include this lively, uplifting color in their garden design. 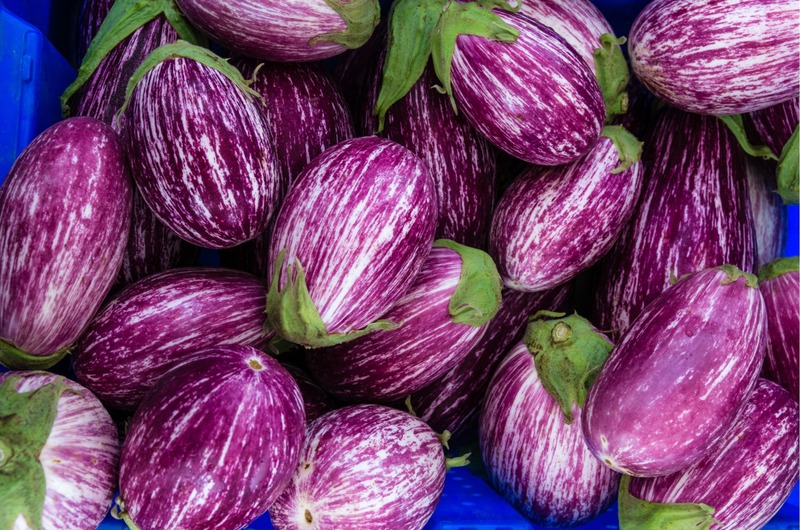 If you are interested in including purple in your outdoor palette this year, some options to consider are eggplants, grapes, lavender, Mexican sage, purple asparagus, purple cauliflower, orchids, violets and salvia. Another landscaping trend that we expect to see taking off in 2018 is the inclusion of meditation gardens. Having a dedicated space for meditation, yoga or relaxation encourages you to make time to partake in these stress-reducing activities. Thus, including a welcoming, calming space in landscape design is growing in popularity among folks who recognize that this can help them lower their blood pressure, be more present and improve their overall well-being. We are seeing more people asking for small wood decks or paving stone patios separate from their main outdoor living areas. Often, these meditation and yoga platforms are covered and are bordered by bamboo, fragrant herbs, or flowering plants in calming shades of blue, lavender, pink or white. Comfy meditation cushions are common additions, and many include access to electricity for music or lighting. What landscaping and garden trends do you plan to get it on this year? 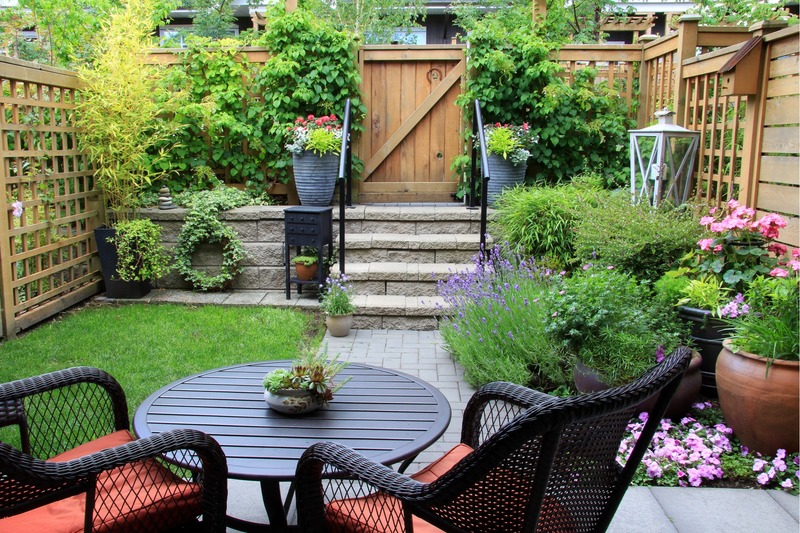 Do you have plans to significantly redesign or update your yard?